Pennsylvania has a second online poker bill. HB 695 was introduced by Pennsylvania State Representative Nick Miccarelli. Several of the points are the same as Rep. John Payne’s HB 649. This includes the 14 percent tax rate and $5 million required deposit. There are two major differences. HB 695 defines “authorized game” as “any interactive poker game approved by the board pursuant to this chapter,” making it almost certain to mean poker-only. Payne’s HB 649 was amended to allow casino games in addition to poker. The other big change from HB 649 is that a bad actor clause was included. The language would exclude trademarks, trade names, service marks, databases, customer lists, software, hardware, or individuals that participated in the U.S. market without proper licensing after December 31, 2006. The bill includes language that appears to be specifically aimed at Amaya Gaming’s purchase of PokerStars. The wording would disqualify assets that were “purchased or acquired”. Opposition to so-called bad actors has softened. The latest former opponent of companies that did business in the U.S. without proper licensing came from Caesars Entertainment and related companies, which announced that it no longer supported the exclusion of PokerStars from the regulated online gaming industry. This change of opinion was thought to pertain to the need to combine the efforts of existing U.S. interactive gaming companies and PokerStars to present a united front against Sheldon Adelson’s efforts to ban online gaming. 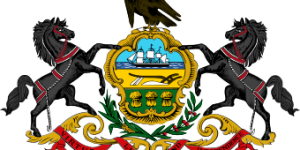 Online Poker Report provides more details on the some of the language included in the latest Pennsylvania online poker bill.